Nigel Rogers and Christian Gonzalez in a scene from Breaking the Code. Reports from survivors of the recent murders at Umpqua Community College in Oregon indicate that the killer asked his victims if they were Christian before shooting them — in the head for a “yes” response, and in the leg or body for either a “no” or no answer. Simply not responding could possibly save their lives, yet many chose to tell their truth. This is a heartrending example of a choice someone should never have to make. No one should have to lie or hide their identity in order to save themselves. 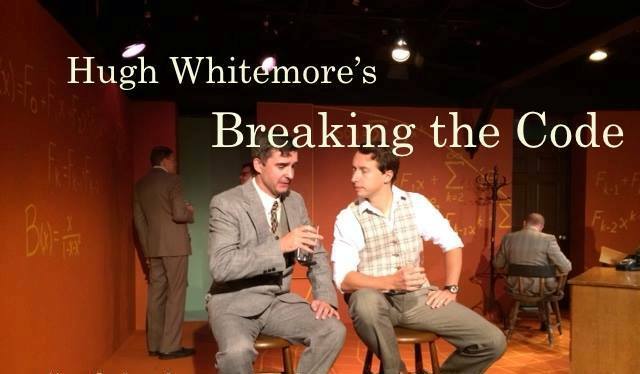 The day following the school shooting, Hugh Whitemore’s Breaking the Code opened at Langhorne Players. The World War II-period drama, which runs through October 17, is remarkably relevant today. Although not as instantly deadly, Alan Turing’s ordeal with Great Britain’s form of McCarthyism was as tragic. The brilliant Cambridge mathematician was recruited by the fledgling MI6 during WWII to help break the Nazi Enigma machine code. To do so would mean Allies would gain vital intelligence of enemy military movement, helping to win the war. Nigel Rogers portrays Alan Turing in Breaking the Code. If you’ve already seen the film The Imitation Game, and believe you don’t need to see this production, you would miss a riveting performance by Nigel Rogers. And you would be wrong. Once again, Langhorne Players brushes aside any common misconceptions of “community theater” and provides a production worthy of respect. This is no easy, linear play. The choices are as rife with peril as those faced by the main character. Director Jack Bathke gives it its due. For Alan’s mother, Sara Turing, portrayed by the brilliant Carole Mancini (A LP vet whose father worked as a code-breaker! ), life is much simpler. As it is for the other major influence in Alan’s life, his boyhood friend Christopher, who instilled in Alan a reverence for truth. 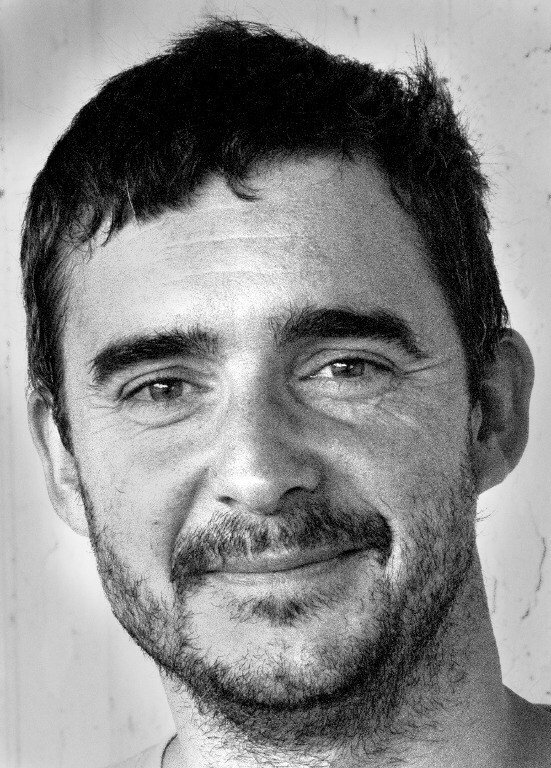 New to the LP stage, Christopher Lapinski plays Christopher. He is nearly always on stage, mostly as Christopher’s spirit tending to Alan with gentleness, bearing quiet witness to Alan’s foibles without judgment. Alan is obsessed with distilling right from wrong. He is warned by his boss (Hans Peters’ benign and fatherly Knox) to be discrete. His co-worker Pat (portrayed with keen depth by Tami Amici) offers him a closet in which to hide, namely marriage despite knowing he is not the marrying kind. Yet, could it be Pat who betrays his trust to the authorities? If you don’t know the story of Alan Turing, he not only cracked the Nazi Enigma code, but is also credited with early “electronic brain” or computer theory. A recipient of the Order of the British Empire award, Turing was charged with “gross indecency” for his homosexuality. In the play this occurs after admitting to an affair with a young drifter, portrayed by Christian Gonzalez. Gonzalez is making his acting debut in this production and yet he inhabits his complex character completely. Neither he nor Lapinski, both theatrical novices, allow the audience to see or feel anything close to “stage fright” or discomfort. Both men commit fully. “Why didn’t you?” she asks. You can’t miss Breaking the Code. Yes, it begins slowly, is at times as “baffling” as Knox says Alan’s work is, and the lighting is shadowy. But Rogers’ tour-de-force performance is invigorating, empowering. And the meaning embedded in Alan’s unbridled enthusiasm for the “electronic brain” is layered and powerful. Breaking the Code will leave you plenty to ponder.